A major theme — perhaps the major theme — is that of false accusations and implanted memories. We now know that eye-witnesses are unreliable, but that wasn’t so clear 35 years ago. Seeing is believing, after all. And “children don’t lie,” as both a character in this novel and a real-life witness in McMartin preposterously claimed. You can read I Know a Secret without reading the other books in the series. However, while there’s no real need to have read the earlier Rizzoli and Isles books, it would help. It would let you place Jane Rizzoli and Maura Isles in context, especially in terms of character development and their relationships to other people. 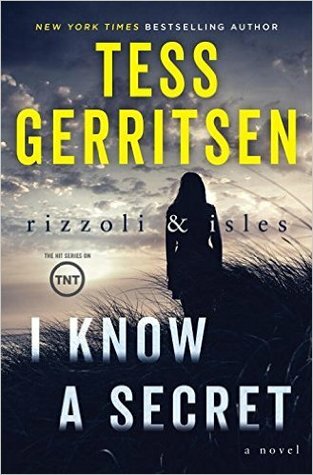 As with all series, Gerritsen provides stability and continuity from book to book, but there isn’t the sense of being frozen in time that you find in some series. Think of it, perhaps, as Sue Grafton rather than Rex Stout. Also, if it matters to you, there’s a convincing sense of Boston and Brookline throughout this story, and some effective material about martyrdoms of various Catholic saints (I know it’s effective, not because it was part of my own education, which it wasn’t, but because I’ve learned enough from friends, from art, and from other reading that it all seemed right to me). As usual, I’m avoiding spoilers by refusing to give any details, other than the McMartin reference. Unless you think you’re going to have nightmares (hint: see “martyrdoms of various Catholic saints” in the previous paragraph), do read I Know a Secret.